It's time for anything goes with Addicted to stamps and more! Here is my card for the challenge. I saw sketch online and used that as my starting point for my card. I found some pattern paper that I thought would work well with Tea Time stamp set from Joy Clair I wanted to use. I started to leave the background plain, but felt that it needed a little something. 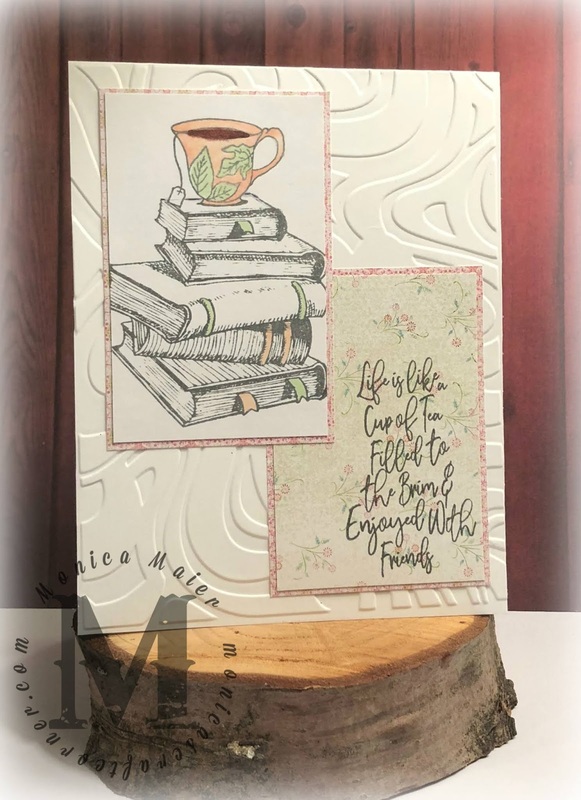 So I used an embossing folder that reminded me of steam from a hot cup of tea or coffee.